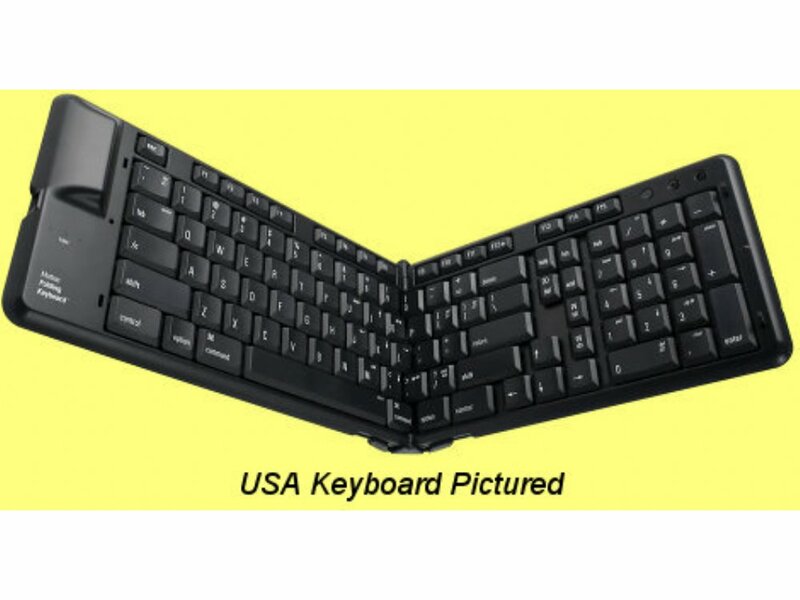 The Matias Folding Keyboard is a full-size keyboard that folds in half for travel. Small enough to fit in your laptop bag, it's the ultimate Bluetooth keyboard for iPhone, iPad, or laptop users. Today's mobile devices are powerful, full-fledged computers. So, while touch-screen or thumb-typing may be fine for sending short messages or jotting down notes, for longer e-mails or working on documents you'll appreciate the full-keyboard comfort and features of the Matias Folding Keyboard. High-quality dome switches give the keyboard a responsive, tactile feel, with enough resistance to hold the weight of your hands. This reduces long term fatigue and makes it a lot more comfortable to use. We've taken your laptop's Fn key and injected some brains into it. The Matias Fn key allows quick and easy access to keys that normally require a long reach - Arrow keys, Page Up, Page Down, Delete, and others can now be typed right from home row, without moving your hand. Of course, you can still type those keys the normal way, but using Fn is faster - and it works on the main keyboard and the number pad. The keyboard also has the standard volume controls: Volume Up, Volume Down, and Mute - as well as function keys, page navigation keys, and cursor keys.